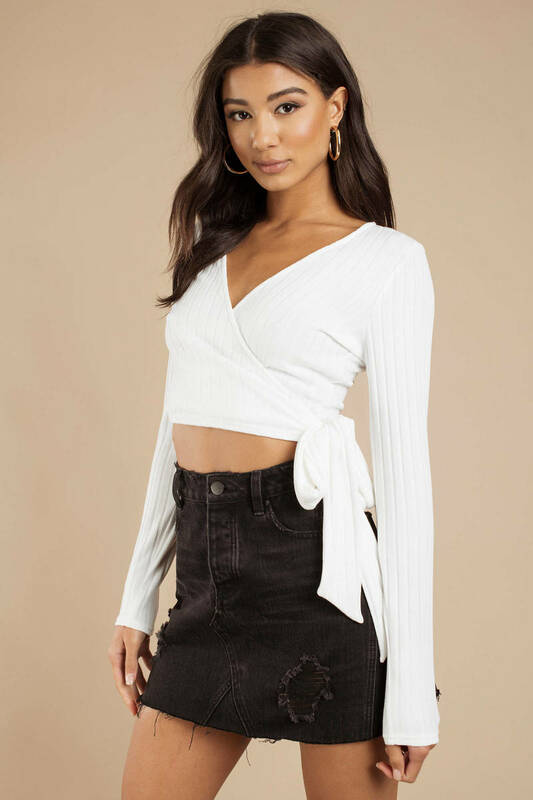 Check out Tobi's Split Ways Wrap Crop Top Introducing your new favorite wrap front shirt, the Split Ways Wrap Taupe Crop Top, featuring a cropped surplice construction, v-neckline, tight long sleeves. Pair this wrap tie shirt with distressed denim and booties. Introducing your new favorite wrap front shirt, the Split Ways Wrap Black Crop Top, featuring a cropped surplice construction, v-neckline, tight long sleeves. Pair this wrap tie shirt with distressed denim and booties. Introducing your new favorite wrap front shirt, the Split Ways Wrap Taupe Crop Top, featuring a cropped surplice construction, v-neckline, tight long sleeves. Pair this wrap tie shirt with distressed denim and booties. 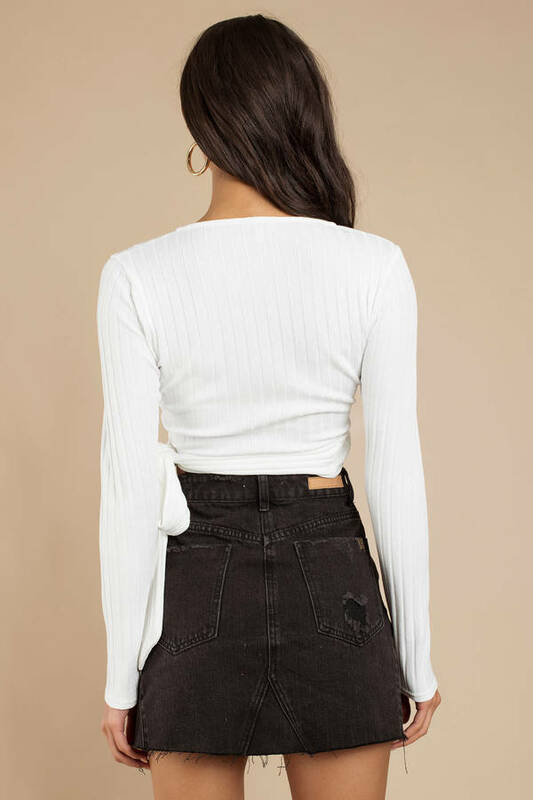 Introducing your new favorite wrap front shirt, the Split Ways Wrap White Crop Top, featuring a cropped surplice construction, v-neckline, tight long sleeves. Pair this wrap tie shirt with distressed denim and booties. Black, Taupe, White modeled on a size Small.